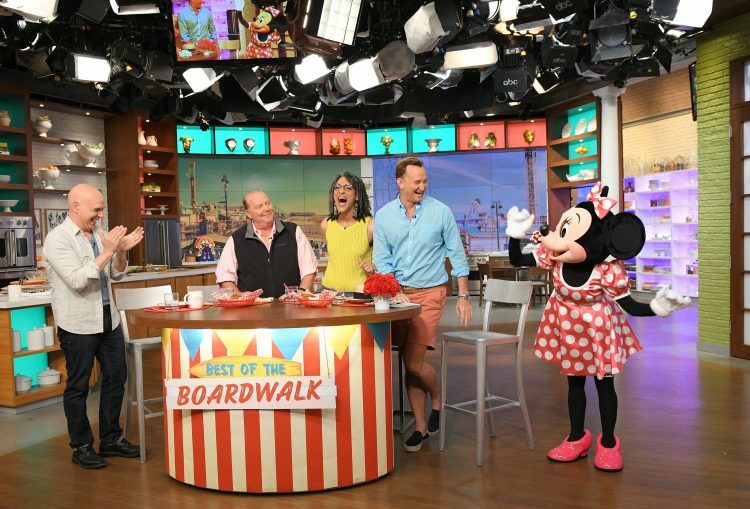 ABC’s Emmy Award-winning lifestyle series, “The Chew,” returns to Walt Disney World Resort this fall to broadcast five shows from the 22nd Epcot International Food & Wine Festival. “The Chew” shows, to record October 4 – 6 against the park’s iconic Spaceship Earth backdrop, will air on the ABC Television Network, October 9 – 13, 2017, at 1pm EDT, 12pm PDT (check local listings). 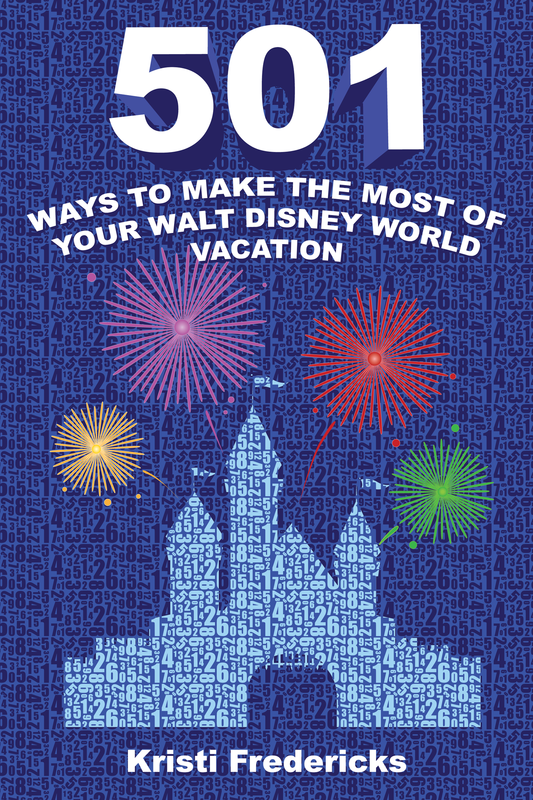 The dynamic, Emmy Award-winning co-hosts, who delighted audiences last year with stories of their Disney adventures as they whipped up delectable dishes and drinks, will share tasty new recipes and a bounty of festival surprises with their Epcot audiences. 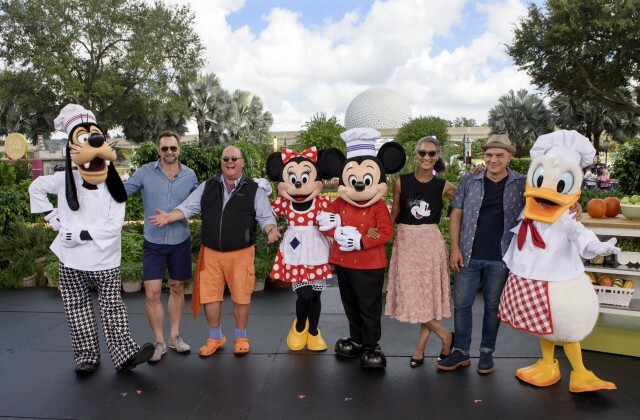 Throughout the festival’s unprecedented 75-day culinary celebration, which runs August 31 – November 13, 2017, “The Chew” also will feature segments highlighting food and beverages from “around the world” of Walt Disney World Resort and its four theme parks and Disney Springs. Today also kicks off “The Chew’s” Magical Culinary Adventure Sweepstakes presented by Hidden Valley Ranch. The winner gets a vacation for four to see a “Chew” taping at Epcot International Food & Wine Festival. Delicious dishes inspired by “The Chew” also will be featured throughout the festival in the themed global marketplace, “Earth Eats, Hosted by The Chew.” Park guests will be able to savor these menu stars: Grilled Beef Skewer with Romaine, Apricots and Feta Cheese; Ricotta and Zucchini Ravioli with Rustic Tomato Sauce and a sweet finish: Peanut Butter and White Chocolate Mousse with Caramel Drizzle. 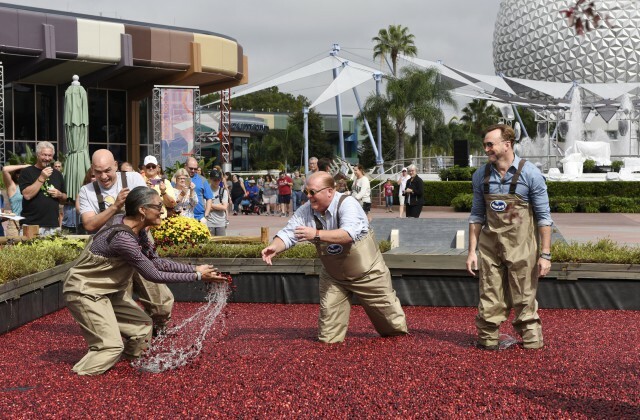 Epcot vice president Melissa Valiquette said she and the entire festival team are delighted to welcome back “The Chew” hosts, producers and crew for their third year of on-site production. At the Festival Center, guests can watch screenings of “The Chew” show highlights, cooking and entertaining tips. Instructions on how to obtain show taping tickets will be announced at a later date. “The Chew” celebrates life through food – from cooking and home entertaining to exploring food trends and bringing original ideas to holiday events. The show’s award-winning dream team of culinary and lifestyle experts dish up useful, creative solutions for busy viewers who want to make cooking and home entertaining easy, affordable, and always fun. “The Chew” has spawned five cookbooks, and the sixth, “The Chew Quick & Easy: Stress-Free Recipes for Every Occasion,” will be published September 26, 2017. “The Chew” airs on ABC Monday through Friday at 1pm EDT, noon CDT. Are you a fan of “The Chew”? Are you hoping to see the taping?